The Federation of Children’s Book Groups (FCBG), a registered charity which is run entirely by volunteers and reaches children across the country to aspire a love of books and reading, called today for entries to its competition to design a logo for its Festival of Children’s Literature, to be held in Birmingham on November 9th 2013. Illustrators, established or aspiring, are invited to submit a logo by May 17th. The winning design will be used for all advertising for the festival, not only online, but in print. 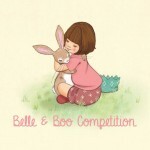 The winner will be interviewed for the FCBG blog (http://www.fcbg.org.uk/blog/) and newsletter with a opportunity to showcase a selection of their illustration portfolio. 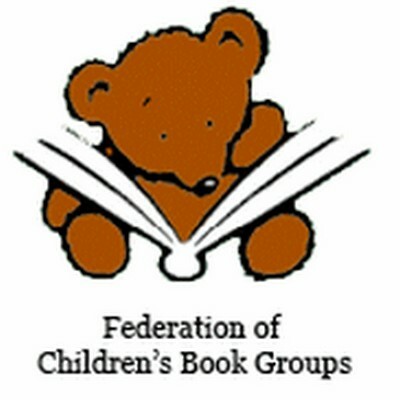 The FCBG blog and newsletter are widely read by those based in the UK with links to the children’s book industry; the newsletter goes to more than 1000 people. The online and print interviews will offer an amazing opportunity for the winning illustrator to raise his/her profile within the (UK’s) children’s book world. Logo specification:The logo should capture the excitement of books and the joy of stories, and appeal to all ages. The aim of the Federation, and this festival in particular, is to bring children and books together for enjoyment and fun, whilst celebrating 45 years of the Federation. The logo will need to work well both on screen and in print (on A5 flyers, in addition to text about the festival). The logo should be submitted by email to: web@fcbg.org.ukby 6pm Friday May 17th,as either a TIFF or JPEG, at 300dpi. It should be no larger than 100mm x 100mm. It must include some colour, but it is up to you whether it is full colour (4 colour) or uses a limited palette. The final design of the adverts for the festival will include full details about the festival, including details of speakers, venue, sponsors and ticket details, but these are not to be included in your logo design. 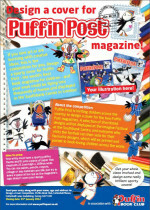 Any individual aged 16 years or over may submit up to three entries to the competition. * The winning logo will be chosen by the FCBG Executive and their decision (which includes the possibility of no winner being chosen) will be final. * The winner will be notified by email by May 20th. * Shortlisted entries will be shown on the FCBG blog in early June. * The winner will be interviewed for the FCBG blog (http://www.fcbg.org.uk/blog/) and the newsletter about their illustration work in general, and will have the opportunity to showcase a selection of their portfolio, if they wish, in addition to the logo as part of the blog and newsletter interview. The interviews will take place via email at the end of May, and will appear online and in the newsletter in June /July. * Copyright for each submission will remain with the submitting illustrator but the Federation of Children’s Book Groups will be able to use the winning logo for all publicity surrounding the Festival of Children’s Literature.